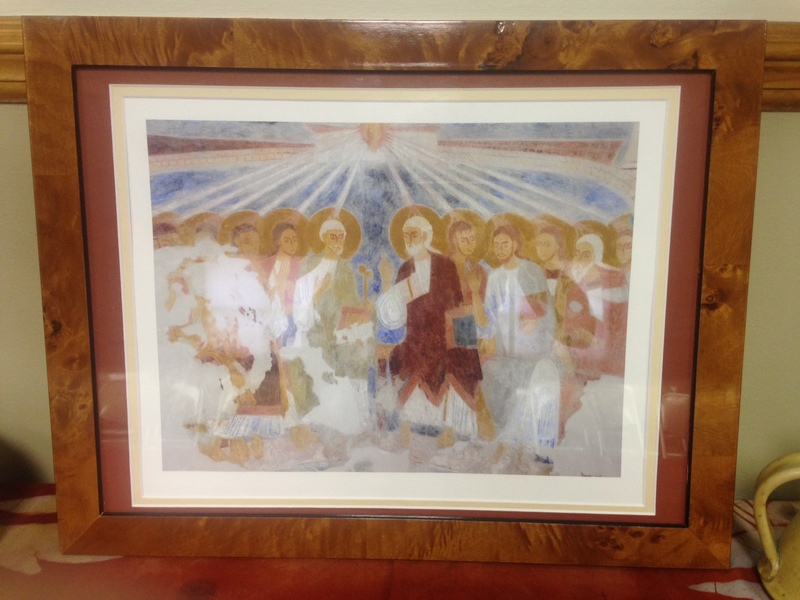 An icon depicting Pentecost–given to Peace Mennonite in memory of Cindy Wiens. The wind of God, the breath of Life. Teacher of Wisdom, Reminder of Christ. Granter of forgiveness, giver of peace. May we feel God breathing through our worship. May we receive the Holy Spirit in this place. Amen. this money that seems so little; this worship that seems so small; these words that never quite get it right. for proclaiming and enacting your peace, justice, and love in the world. Link to Pentecost Call to Worship and Benediction. A sermon on Pentecost and Baptism.